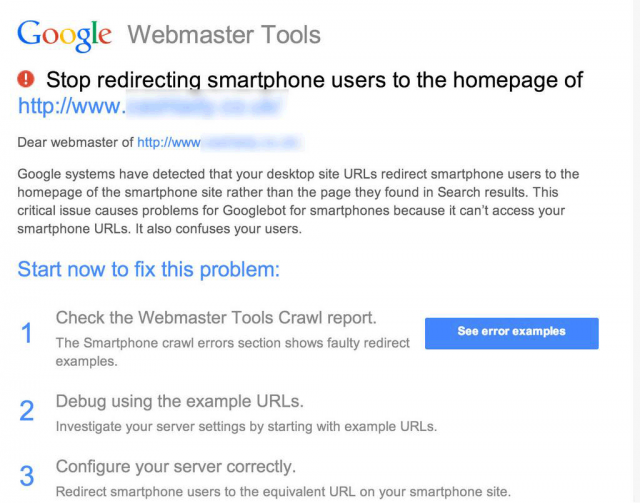 Google Webmaster Notices Of Faulty Redirects May Be "Overenthusiastically"
Yesterday we reported how webmasters notices were being sent to those who manage sites that have faulty mobile redirects. 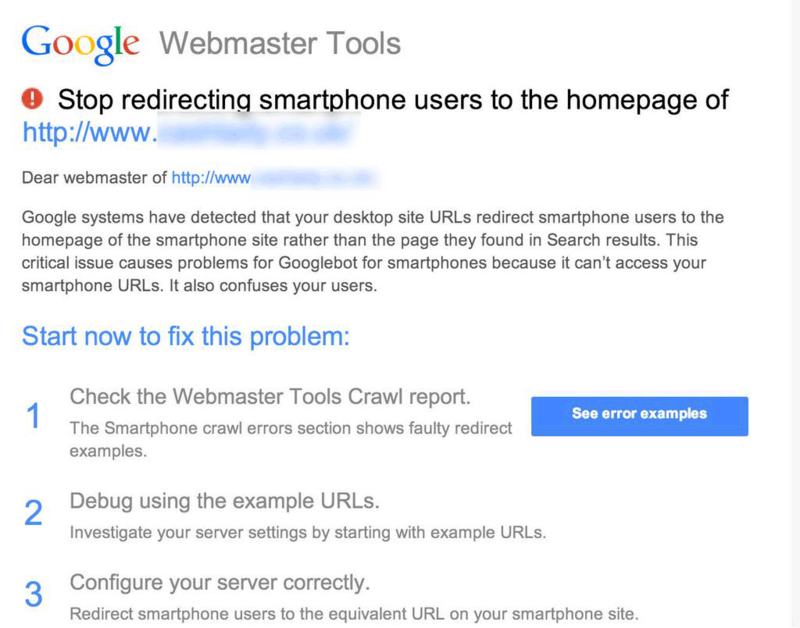 Tons and tons of webmasters received them and some were scratching their heads as to why. They thought everything was set up properly. FYI: We've now heard back from Google that this message might sometimes be sent a little bit "overenthusiastically" when there is no real problem. If you're happy you're not inappropriately 301 redirecting one or more URLs to your homepage (either on mobile, desktop, or both), and you're happy you have no faulty redirects or soft 404s (which could be obsolete URLs you're 301 redirecting to the home page instead of 404ing - and which might look like faulty mobile redirects if viewed only on a mobile), I suggest ignore the message. If you feel it's still a problem in a week or two, please do come back and we can take another look for you.